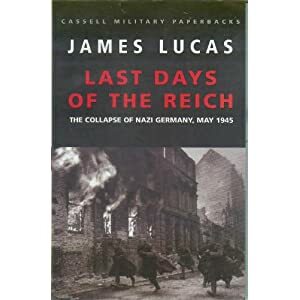 Title: "Last Days of the Reich: The Collapse of Nazi Germany, May 1945"
Comments: Very good in providing a "background" as to what was going on at the end of the war. From Pages 232 to 233: "By the end of May 1945, the guns had fallen silent and under the high summer skies it seemed as if there were, once again, peace and quiet in Europe. But those who listened with their souls could hear the sound of weeping. This could be heard if you wanted to hear it. That was the criterion - if you wanted to. And few did." Sums it all up in my opinion as that was the point; the guns may have fallen silent, but the killing entered a new phase of barbarity.